For Australian customers, QuickBooks payroll export is handled by KeyPay. Follow this guide to successfully export your timesheets. This guide is for Australian QuickBooks customers who wish to export their timesheets. 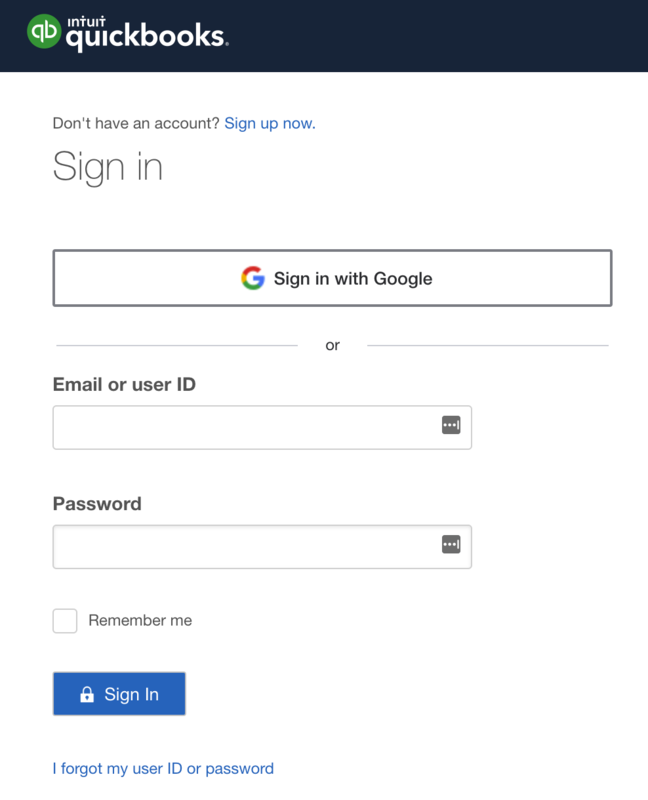 Please ensure that your pop-up blocker is disabled, as this can block the window where you will enter your QuickBooks credentials, preventing you from connecting to QuickBooks. Follow the links below to learn how to disable the pop-up blocker for your selected browser. First, head to the Locations tab, then click 'Edit Settings' on the Location you would like to connect to. Then, click on the 'Payroll' tab, and click 'Connect to QuickBooks, as seen in the screenshot below. In the pop-up window, enter your QuickBook account credentials to log in. Employee export codes between QuickBooks and Deputy need to be set, and these will need to match the external ID. To do this, add/edit the external ID within the employee's settings in QuickBooks. The external ID needs to be set in settings. You can/edit this in the settings page in QuickBooks. You will also need to get the API key, which can be found in QuickBooks. Simply navigate to 'Settings', then head to 'My Account'. In Deputy, once timesheets are approved you can export them. Head to the 'Export Timesheets' section, then click 'Export Selected Items'. In the payroll list, select 'KeyPay Payroll (Direct Export)' and not QuickBooks. Enter your API key and external business ID in the fields provided, then click 'Export'. In the small Export window, you will see that you are now connected to your QuickBooks Company. If you wish to use an invoice line description, you may do so by clicking that option, then selecting either "Use employee timesheet comment", "Use employee's name with start and end time", or "Hide employee name but show start and end time". Alternatively, you may leave it blank. In Quickbooks Online, timecards do not automatically pay vendors. In the 'Vendor Bill Account' drop-down, you can select the option to allow Deputy to automatically create vendor bills along with the timecards for the vendor's hours worked. Finally, please click Export to send your data to QuickBooks Online. After exporting, your data will appear when you choose "Run Payroll" on the Employee page. 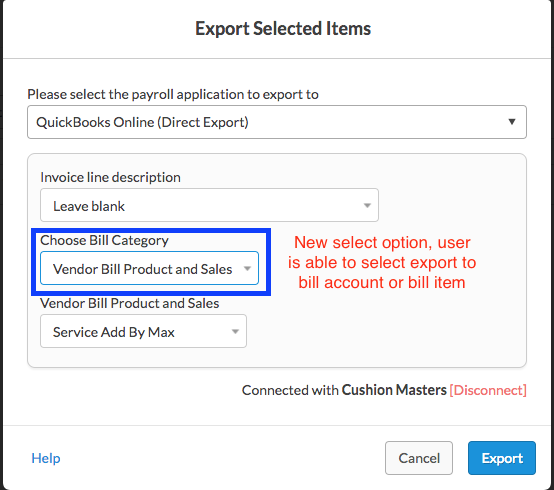 You can now export to QBO based on the Bill category. To do this, you will need to log into QBO. Now navigate to the 'Account and Settings' page, and click the 'Expenses' tab. Here, you will see a checkbox labeled 'Show Items Table and Purchase Forms'. Ensure that this check box is marked as ON, as seen in the image below. In the 'Bills' page, the 'Item Details' section will now appear. Now when you export from Deputy, you can use the following option in the export dialog box. This will then be shown in QBO's Item Details list when exported.